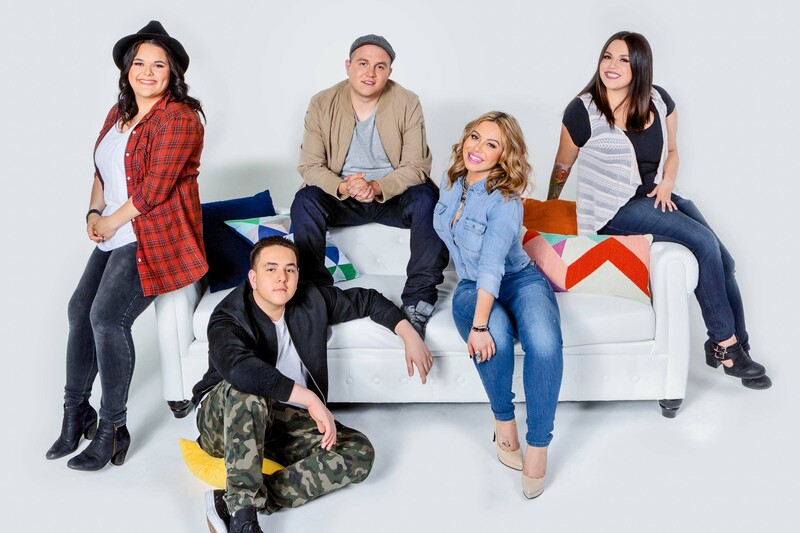 NBC UNIVERSO, the modern entertainment and sports cable channel for Latinos announced the premiere of “The Riveras,” its new celeb-reality series that follows the children of late Mexican- American music icon and reality star, Jenni Rivera on Sunday, October 16 at 10pm/9C. 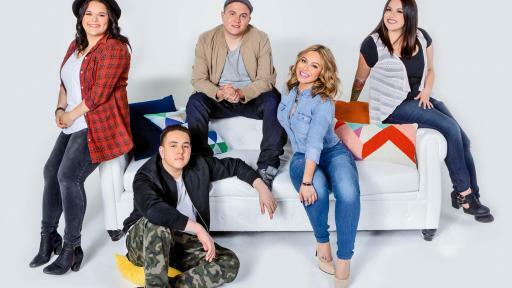 On this new reality show viewers will get to see Jenni’s five children: Chiquis, Jacqie, Mikey, Jenicka and Johnny as they step up and pull together to pursue their biggest dreams with humor and love. To download images, click here: www.image.net/TheRiveras1. To view the “The Riveras” official trailer click on: https://youtu.be/H658DG87l24. “We want to show the world you can continue moving forward despite adversities. Yes, life without our mother has been painful and difficult. We have weak moments but at the end of the day we come together as family to figure it out,” stated Chiquis, the eldest daughter of Jenni Rivera. “Our goal is to represent our mother as the great woman she was and viewers will get to see that through all of us. It’s important to show the public who we are and to discover the truth …a lot has been said on the news and tabloids,” she added. The 10-episode season of “The Riveras,” picks up nearly four years after the tragic death of “La Diva de Banda” in a plane crash on December 9, 2012, which left the family devastated and millions of fans around the world mourning her loss. Since her passing a lot has happened with one of the most beloved Regional Mexican families. Chiquis - 31 years old. Singer, Author, Entrepreneur. This year will be a very trying time for Chiquis as she tries to juggle her singing career, a tour, run her hair salon “Blow Me Dry” and “Be Flawless” skincare and make-up line, while continuing to help her four siblings who need a mother-figure in their lives. Jacqie - 26 years old. Mother of three, Jacqie fears she’s losing her fun, rebellious side. She has ambitions to pursue a gospel singing career, but she first needs to cope with her terrible stage fright with the help of her sister, Chiquis. Mikey - 25 years old. Coping with the loss of his mother, Mikey has turned to art to channel his emotions and give back to the community. He runs the on-line store of his mother’s merchandise. His daughter, now 3 years old, might be autistic and Chiquis is helping him accept it and find help. Jenicka - 18 years old. The youngest Rivera daughter is ready to navigate her own world by her own rules. Chiquis and Jacqie are having a hard time letting go but are learning to compromise. She’s starting a designer hat line with her friend and wants to help kids who have lost their parents; she is also studying child psychology. Johnny - 15 years old. The troublemaker in the bunch, Johnny is now a teenager and having a hard time abiding by the rules. Chiquis has even considered giving up her singing career to keep a better eye on him. “The Riveras” is Executive Produced by Gloria Medel Solomons for NBC UNIVERSO and Blank Paige Productions. Besides enjoying the episodes on TV, subscribers of NBC UNIVERSO on participating cable, satellite, and telco services will also be able to view the first episode of “The Riveras” through Video on Demand and digitally on www.nbcuniverso.com/NOW, and on NBC UNIVERSO NOW apps by entering the subscriber’s log-in information. Fans can engage on social media by using the hashtag #TheRiveras and find more content about the show in Spanish on NBC UNIVERSO’s Facebook https://www.facebook.com/TheriverasTV and Instagram https://www.instagram.com/nbcuniverso/. NBC UNIVERSO (www.nbcuniverso.com) is a modern entertainment and sports cable channel for Latinos, bringing edgy programming and the world’s top sports franchises to more than 40 million households in the U.S. As one of the most widely available modern cable channels for U.S. Latinos, NBC UNIVERSO delivers a thrilling mix of exclusive sports action – including FIFA World Cup™, NASCAR Mexico Series, NFL, Premier League and The 2016 Rio Olympics – along with hit series, blockbuster movies, music, and must-see live events on TV, online and mobile devices. NBC UNIVERSO is part of NBCUniversal Telemundo Enterprises, a division of NBCUniversal (www.nbcuniversal.com), one of the world's leading media and entertainment companies. NBCUniversal is a subsidiary of Comcast Corporation (www.comcastcorporation.com).